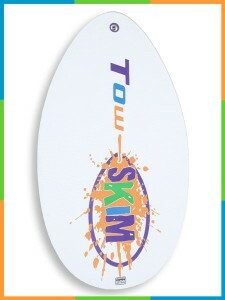 Tow Skim board set in ‘Blast-Off! Blue’ and Purple color scheme. 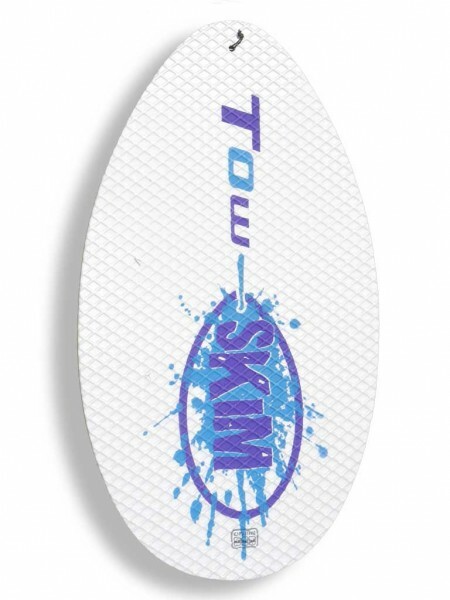 The included tow rope is a funky multi-color, with Blue elements. 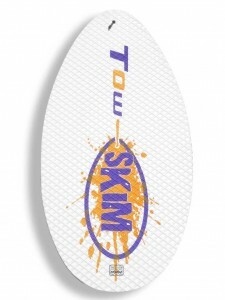 This Board Set includes the Tow Skim board and tow rope (of course!) and also a Blue and Purple coloured water-proof canvas Board Bag with adjustable canvas webbing backpack straps and separate zippered pocket for your tow rope, sunblock, etc. Large-tooth zippers help ensure trouble-free access. Please Note: For shipments to the United States, please Contact Us directly to discuss fast and efficient shipping options.